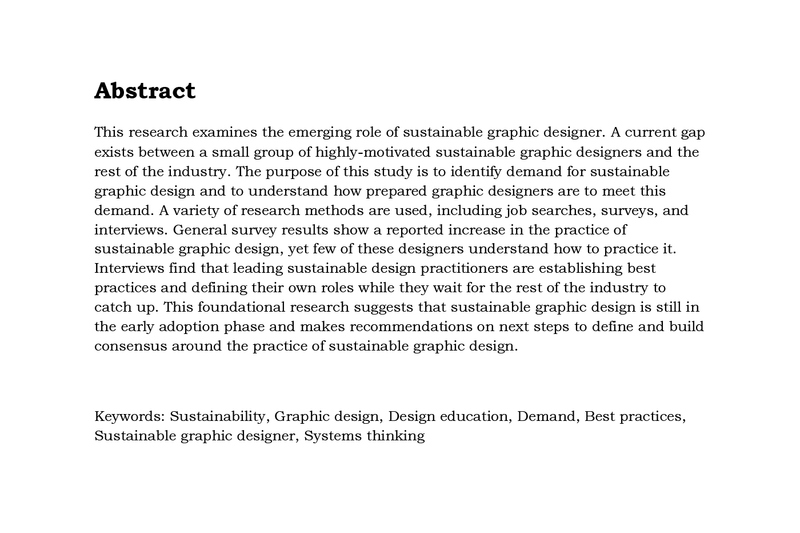 Thesis research question: "What sustainability-focused job roles are emerging for graphic designers, and how do we prepare graphic designers to make the transition?" 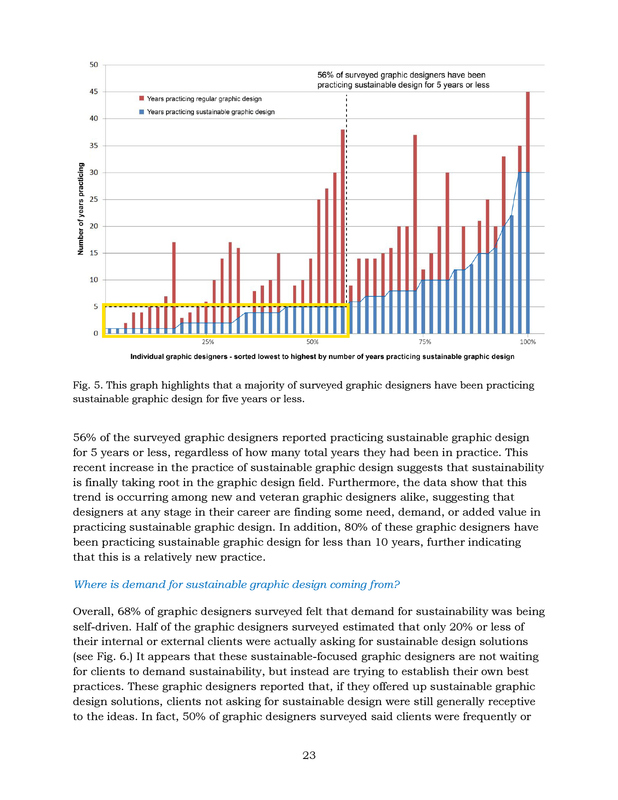 Introduction: The role of graphic designers is shifting. 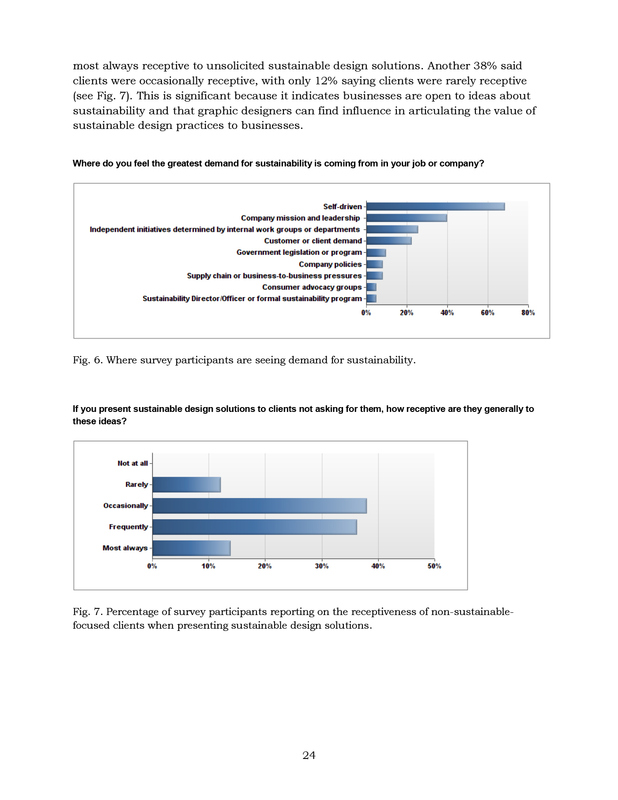 No longer seen solely as the producers of aesthetic “things,” graphic designers are being valued for their problem-solving skills and ability to help businesses and organizations strategize. 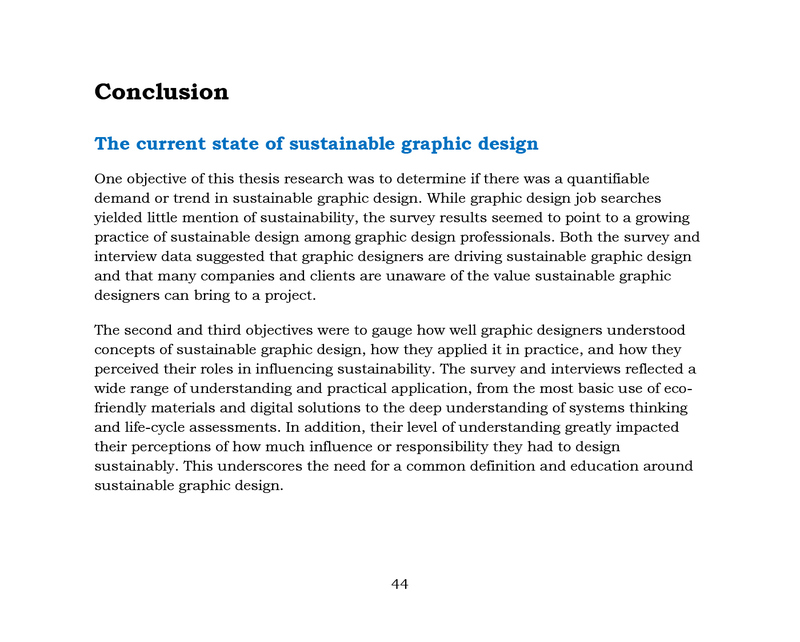 In addition, both designers and the clients they serve are increasingly expected to consider issues of sustainability and take responsibility for the impacts of the products and systems they create. 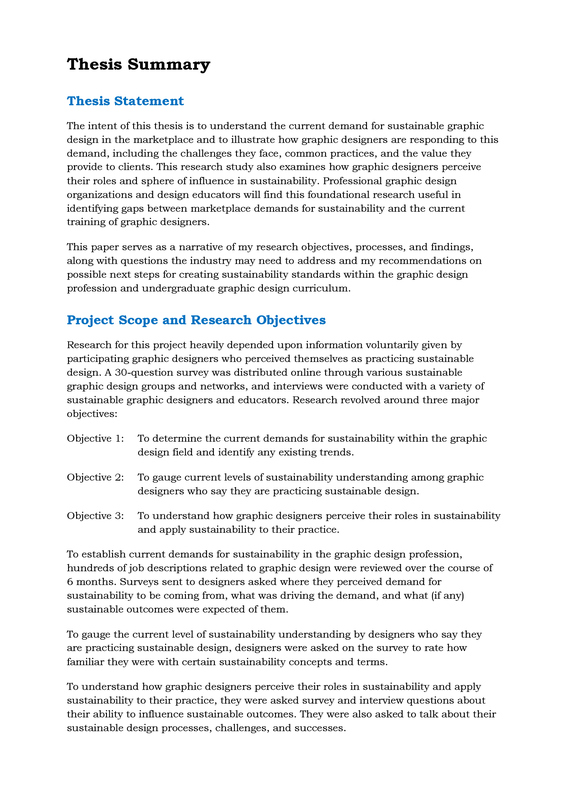 However, graphic designers who lack formal training in sustainable design thinking and methodologies are unprepared to take on this sustainable design challenge. 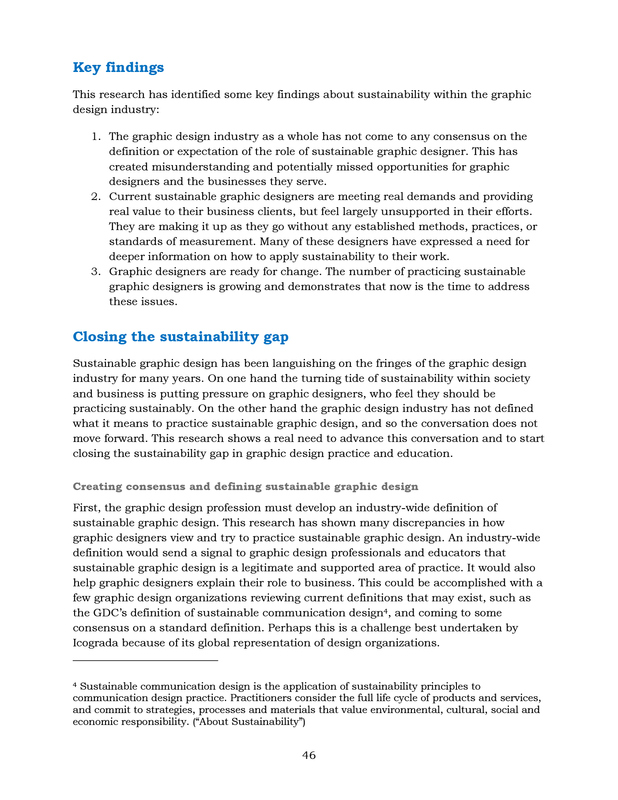 To prepare graphic designers to make this transition, emerging sustainable design roles and practices need to be identified and defined. 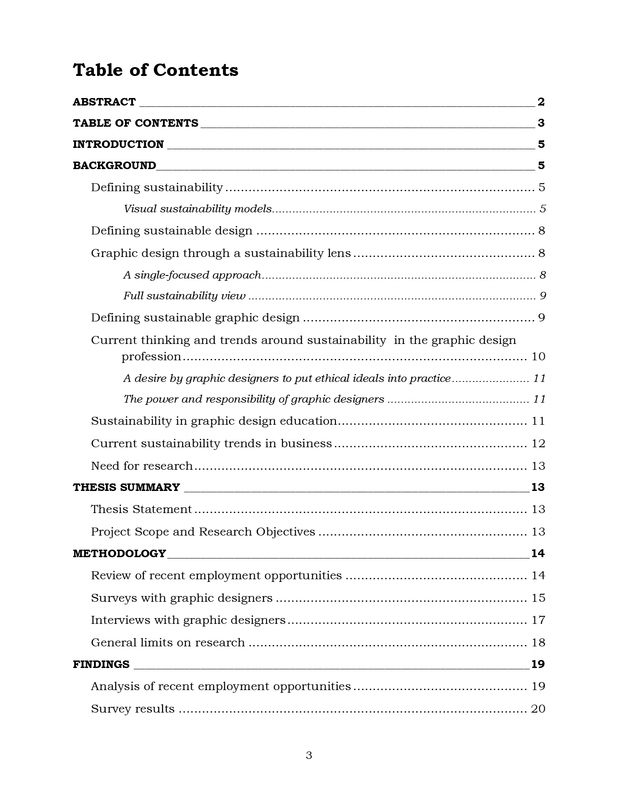 Download a PDF of my thesis paper. 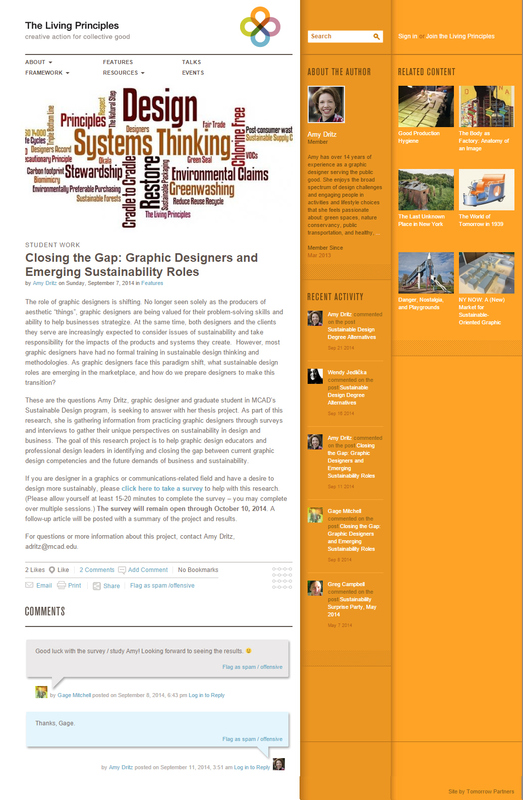 I posted a feature article on the Living Principles' sustainable design website to gain exposure and participation in my project. 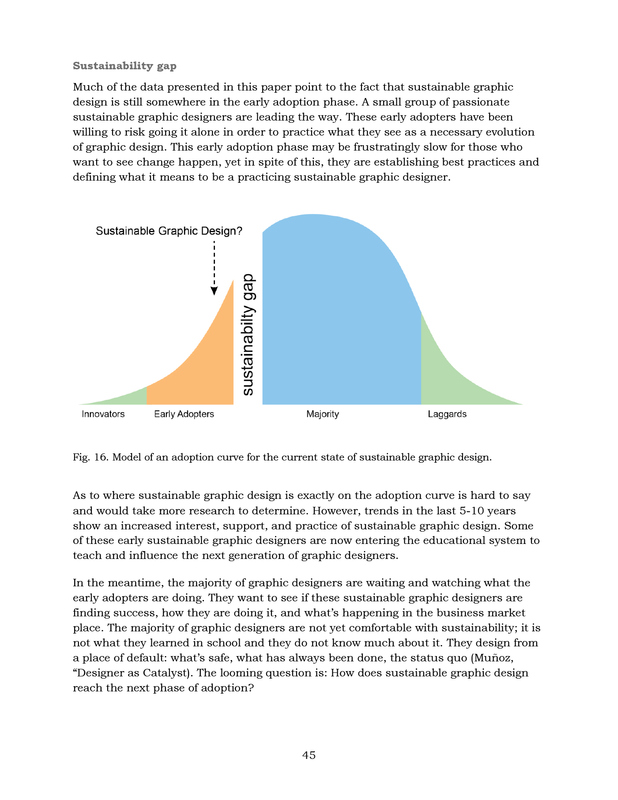 This was one distribution method for my survery. 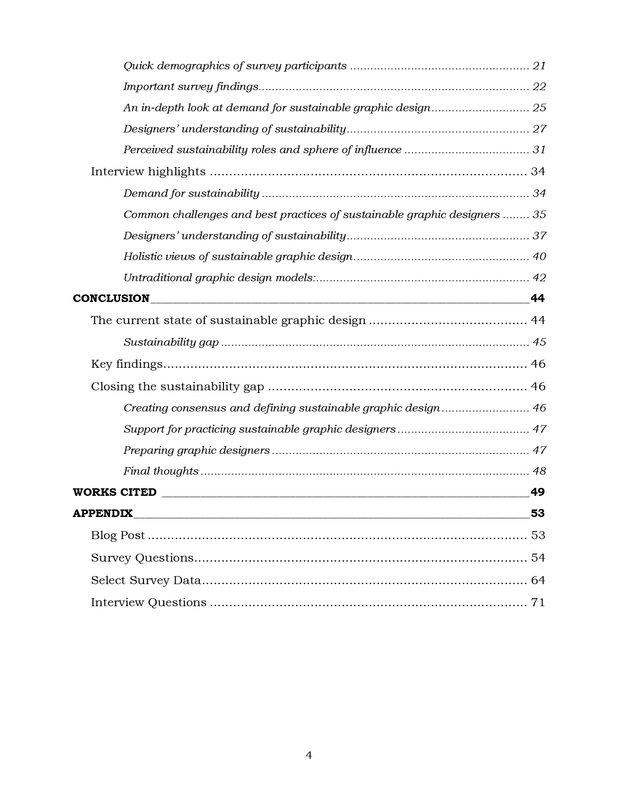 Two sample pages that share some of my conclusions and key findings.